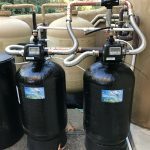 Salt Free Water Conditioning for Santa Barbara, Montecito and the Santa Ynez Valley, Some may call it Salt Free Water Softener System – We don’t. Almost all drinking water supplies are contaminated by organisms, bacteria and viruses. Chlorine is an effective disinfectant, killing algae, mold, and bacteria that can cause illnesses, but there can be negative effects of chlorine to the human body if you do not employ some type of chlorine removal after the chlorination process. Sol Wave Water can remove the chlorine in your drinking water. 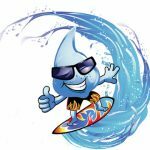 Sol Wave Water can give you the drinking water system, water softening system that best suits your household whether you purchase or rent a system we know how to properly “size” equipment for your family. The correct drinking water system and water softener will reduce the waste water. Please see our section on reclaimed water possibilities. Chlorine is the primary cause of bad taste and odor in drinking water. Studies show the bulk of our harmful exposure to chlorine is due to inhalation of steam and skin absorption while showering. It also causes itching and excessive dryness in people with otherwise normal skin. Sol Wave Water can remove the chlorine in the drinking water and in your shower. We can give you various options and have all types of carbon filters to eliminate harmful chlorine off gas. Serving Ventura, Carpinteria, Montecito, Santa Barbara, Goleta and Santa Ynez (Beverly Hills, Malibu, and Calabasas by request). 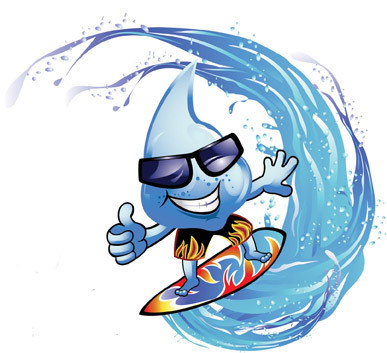 Sol Wave Water will provide you with the solutions to your water softening and drinking water needs. 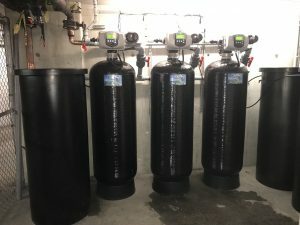 Salt and potassium delivery, drinking water system filter changes, service and maintenance for your current water softener and drinking water system. We offer rental water softeners and drinking water systems. Sol Wave Water is here to fit into your budget.